Former Texas Gov. Rick Perry is dropping out of the race for president, ending his second bid for the Republican nomination and becoming the first major candidate of the 2016 campaign to give up on the White House. Perry's campaign said the longest-serving governor in Texas history would tell a group of conservative activists in St. Louis on Friday night that "some things have become clear." 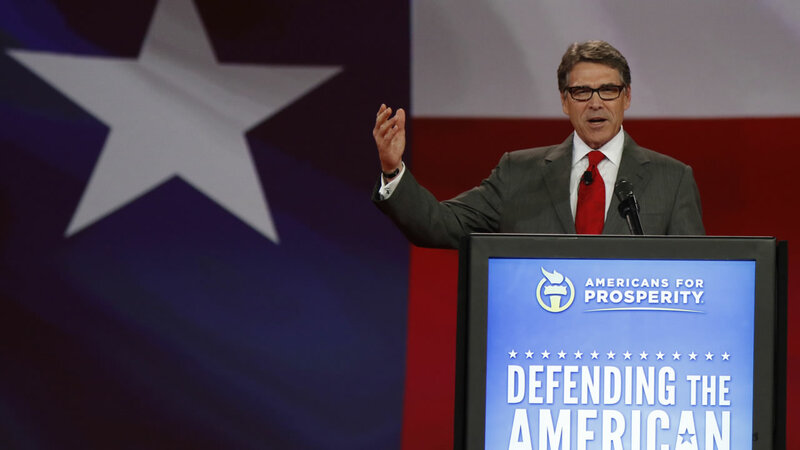 "We have a tremendous field, the best in a generation, so I step aside knowing our party is in good hands, and as long as we listen to the grassroots, the cause of conservativism will be too," Perry planned to say according to remarks released by his campaign. Perry suspended his struggling campaign while strapped for campaign cash and stuck polling at near zero.